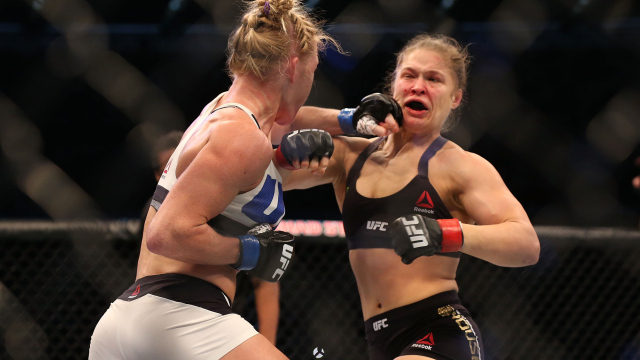 Saturday night’s UFC 193 was historic on many levels. 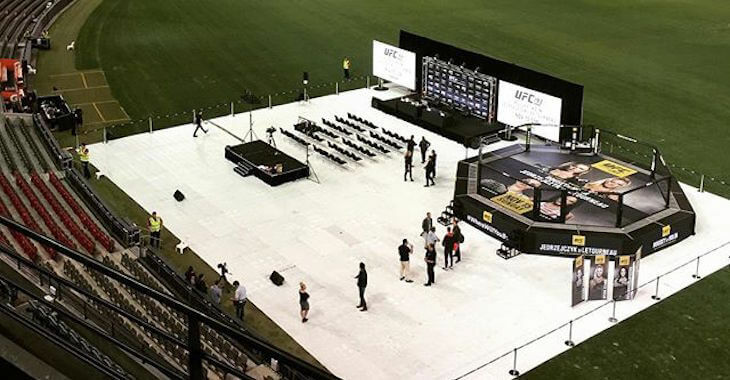 It set the UFC record for attendance with over 55,000 packed into the Etihad Stadium in Australia. It also took in over $6 million at the gate, a number only eclipsed by UFC 129 & 189. The numbers alone make the event significant, but when you ask someone what they remember most about UFC 193, they are DEFINITELY NOT going to talk about the numbers. UFC 193 was the first UFC Pay-per-view headlined by two championship bouts in both of the UFC women’s divisions. Joanna Jedrzejczyk retained her 115 lb strawweight belt with a dominating 5 round decision over Valerie Letourneau. Jedrzejczyk’s stellar striking performance was quickly upstaged by what some are calling the biggest upset in UFC history. Holly Holm shocked the world by landing a 2nd round head kick to one of the most dominant forces in combat sports today, Ronda Rousey. This was no fluke folks. This wasn’t a lucky kick that Rousey ran into. This was a calculated strike that landed due to the damage that Holm was able to inflict on Rousey in the previous 6 minutes of the fight. Even though Holm was the biggest underdog in UFC history according to Vegas coming into the fight, she had way more combat sports experience than any of Rousey’s previous opponents. Holly Holm holds an US Amateur kickboxing title and went 2-1 as a pro. She also has 33 professional boxing victories and holds numerous world titles in multiple weight divisions. She was named Female Fighter of the year several times by different organizations including The Ring magazine, World Boxing Federation, and the International Female Boxing Association. When she walked into the octagon at UFC 193 she held a perfect 9-0 MMA record. With almost 15 years of fight experience, I wonder why so many people, including myself, thought Holm would be yet another victim of Rousey’s dominance. Speaking for myself, I thought Rousey had a better grasp of MMA striking. I thought Rousey combined striking, octagon control, and clinch work better than Holm. Not to mention that whenever a Rousey fight goes to the ground, it usually ends with her opponent’s arm bent the wrong way. Even though Holm had an extensive combat sports history, her 2 previous fights in the UFC were decisions victories that left most people wondering not if Rousey would win, but when and how. I even had the audacity to say on a local Tampa radio show that the only way Rousey could lose would be if she tore her ACL stepping in to throw a punch. 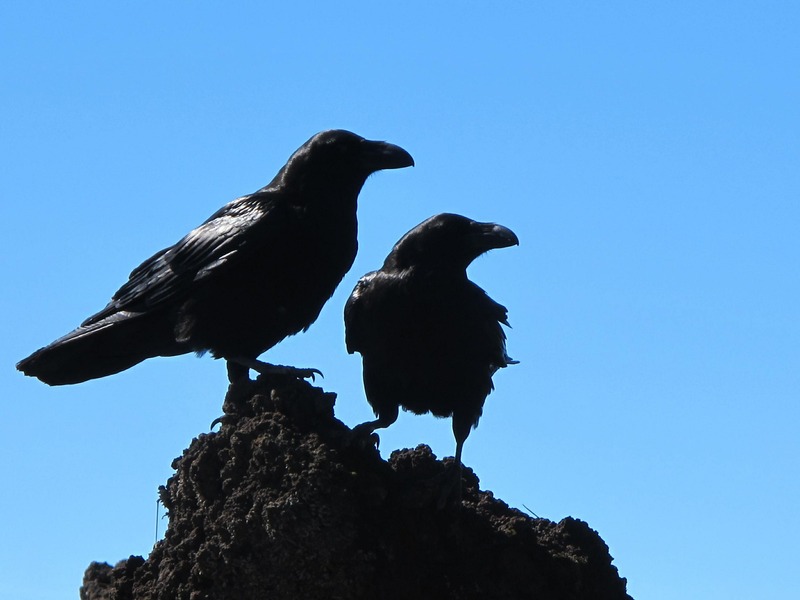 I’ll take my crow baked if possible, thanks. I’m happy to admit when I’m wrong and I was wrong about Holly Holm. I was wrong to think that the masterminds at Jackson-Wink MMA in New Mexico could not combine Holm’s skills with a flawless fight plan. I was wrong to think that Rousey’s Judo could neutralize Holm’s ability to strike at distance. I was wrong about a lot of things regarding the fight, but one thing I believe to be true is that this fight will be a linchpin for women’s combat sports. Rousey has already started that train down the track, now it’s time for her to hand over the controls to others like Holm, Jedrzejczyk, Van Zant, and Waterson. I’M NOT SAYING ROUSEY SHOULD RETIRE. I know that Holm-Rousey 2 will be EPIC! I’m simply saying that Rousey has carried the flag gallantly, but it’s now time for her to let others do the heavy lifting. Check out the video below to see highlights from the historic Rousey-Holm fight. Also feel free to let me know how much of a doofus I was for not predicting the outcome of the fight. I appreciate all feedback.